The top prosecutor thanked law enforcers. A notice of suspicion has been issued for the suspected killer of lawyer and rights activist Iryna Nozdrovska, Prosecutor-General Yuriy Lutsenko has said. "Just now an investigator of the Vyshhorod police department has announced a suspicion in the murder case of Nozdrovska," he said on Facebook. 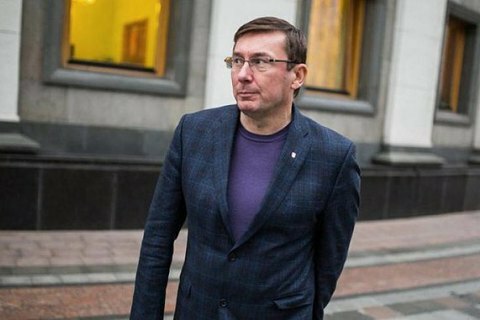 Lutsenko thanked all members of the National Police and prosecutors who "in conditions of an artificially whipped up politicized hysteria managed to do their job". They "also did this in over 2,000 murder proceedings last year", he added. Earlier on 8 January, the Interior Ministry said that it had detained the suspected murderer of Nozdrovska. According to preliminary reports, this person is a close relative of the man who killed Nozdrovska's sister with his car. Nozdrovska went missing in late December 2017 and was found dead in a river in Vyshhorod District, Kyiv Region on 1 January. Criminal proceedings on a premeditated murder were opened.